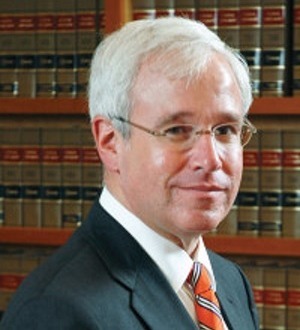 Leonard A. Davis is a partner of Herman, Herman &Katz , L.L.C., as well as the national firm of HERMAN GEREL, LLP, headquartered in Atlanta, Georgia. After receiving his B.A. from the University Texas at Austin, Mr. Davis attended Tulane University School of Law where he received his Juris Doctorate in 1984. Mr. Davis’ practice includes corporate law, commercial litigation, complex business litigation, multi-district litigation, mass torts, class actions and railroad crossing matters. He is an AV-rated attorney with Martindale-Hubbell. Mr. Davis is a member of the Louisiana State Bar Association, New Orleans Bar Association, Federal Bar Association, American Bar Association (Member of the Business Law Section), American Association for Justice, The Mass Tort Lawyers Association and the Louisiana Association for Justice. He is also a member of the Million Dollar Advocates Forum. He has written articles on railroad litigation for several publications, including Trial Magazine, and spoken at numerous seminars. He teaches Complex Litigation at Tulane Law School as an adjunct professor. Mr. Davis is active in the community and serves on or has served on several boards of the New Orleans Museum of Art, Louisiana Children’s Museum, Jewish Endowment Foundation, Tulane University Medical Center Chancellor’s Advisory Council, the Anti-Defamation League, New Orleans Music Legends and numerous other charitable and non-profit organizations.